I am a mixed-mode commuter and I’m so glad because it helps me live an easy and healthy life. Honestly I couldn’t do that with an ordinary bicycle as it is so bulky. Everything has changed since I started trying a folding bike. Now it has become an essential part of my daily life. 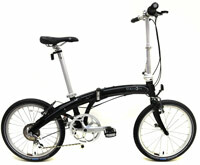 Folding bikes have become so light and compact that we can call them portable bike. It takes me less than 15 seconds to fold a bike. Now I am riding a folding bike to the bus stop or subway, fold it and carry it to the public transportation. Then when I reach the last stop, I unfold the bike and continue riding to my workplace. Amazing, huh? 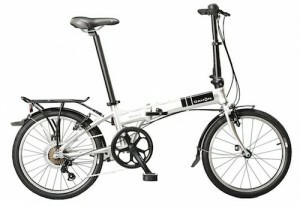 With many good brands available, finding the best lightweight folding bikes certainly will be little difficult. 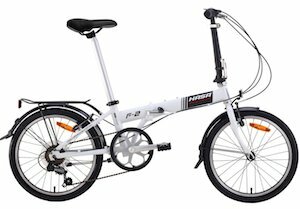 However, if you should make the time to study features and also product specifications of folding bikes, you should have sufficient insight on which one will perfectly fit your requirements. Where prices are involved, you can easily get a good deal with online shopping as it provides you the ability of checking the price faster and easier. All you must do is searching to get the best deals, take a look at our reviews to see what makes one model better than others. If you can’t wait to ride your first folder, keep reading. We at FoldingBike20 are gonna show you how to choose the most suitable folding bicycle as your daily driver. 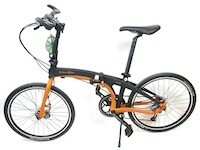 I am recommending you the best folding bikes in the U.S.. The table below will list bikes with some important features that you have to consider when buying a bike like Size, Weight, Speeds, Frame and Price. Size: This is the size of the whole bike after being folded, not just the wheel size (majority of folding bikes are manufactured with 20-inch wheels and I recommend the size too). 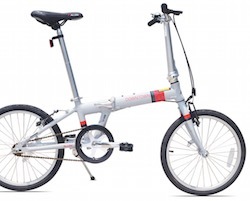 Weight: Everybody wants a lightweight folding bike so that we can carry around easily. Number of Speeds: Multiple gears/speeds will help us ride faster on flat road and go uphill easier without hurting your knees. Frame: The frame material will decide the weight as well as its durability of your bike. Don’t use cheap material because a stiff frame will save you more money in long term. I’ve been using my bike for 4 years without any issue. Price: This is the manufacturer’s suggested retail price (MSRP), you should click on each product for the best price available. The pricing varies from $200 to $2000 but you always can get a good bike for a reasonable price. 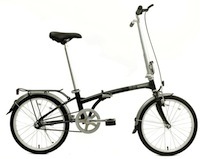 Overall, there are some important benefits that you have to consider buying a folding bike. Exercise Anytime: More and more people are overweight because we just sit all day in the office, drive home and spend the rest of the day on comfortable couches. Folding bike is an effective way to lose weight, get in shape and make you healthier. You will feel the difference in just a few weeks. Save Money: You can save a lot of money as there is no more parking fees, expensive fuel, insurance or auto maintenance services. If you are a mixed-commuter, you can board the bicycle to any bus, subway or train. I save more than $200 per month by using public transportation along with my bike. More Mobility: In big cities, it is almost impossible to drive your car to work because you will not be able find a parking slot. With a folding bike, you can just bring it to your office and leave it under your desk, it is just the size of a suitcase. You won’t be worried that your bike could be stolen anymore. I heard many stories that people lost their bicycle when they locked it into a tree, fence or lamp post. 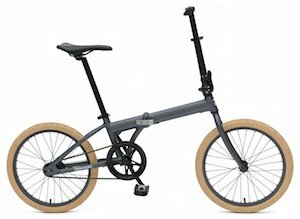 Stable and Fashionable: Recent folding bikes are designed so fashionable and believe me, you will look great riding a bike. 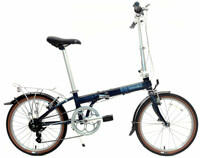 Many people thought that the folding bike couldn’t be as stable as a normal bike. The fact is that their frames are built very stiffly and they are not easy to be collapsed into pieces. The Mariner D7 is currently my daily driver. It has everything I expect in a folding bike. 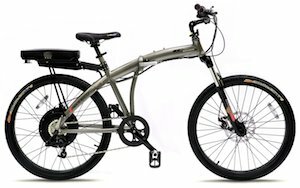 It is equipped with a rear rack, mudguards, and 7 speeds. The bike has a sleek design in a polished silver color. The most important reason I chose this bike is because this is the most comfortable folding bike at the price of under $1000. It is not the lightest one but it has a sturdy build and it can accelerate quickly. The Mariner D7 is on sale for $579 on Amazon. The Allen Sports XWay is a recent bike I’ve tried and I loved it at first sight. It has a very attractive design and this is absolutely a great choice for mixed-mode commuting. The bike comes with a lightweight frame, 451mm wheels and 20 speeds which helps a lot in dealing with different terrains. 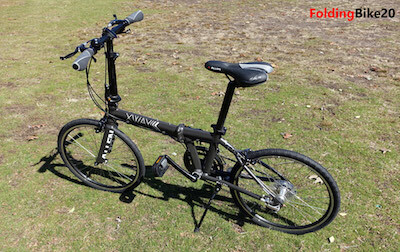 This is considered an entry-level folding bike to the high-end market. The XWay is currently priced at over $1,000 on Amazon. 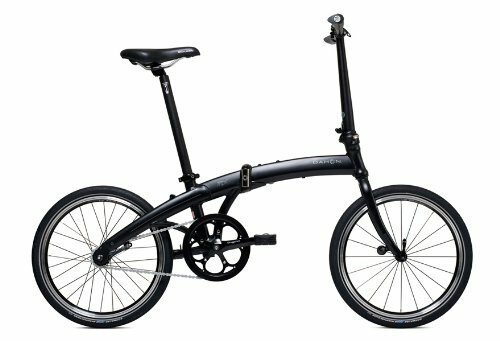 This is among my favorite folding bikes because it is super lightweight (only 24 lbs) and easily folded to carry anywhere. The single-geared bike is great for fast riding and you will also be confident to ride the Mu Uno daily for years. 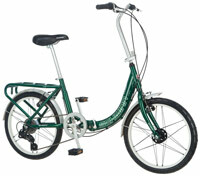 As it is made of high-quality components, the bike is very sturdy and durable. The bike frame, rigid forks and handle posts are also warranted to be defect-free in 5 years. 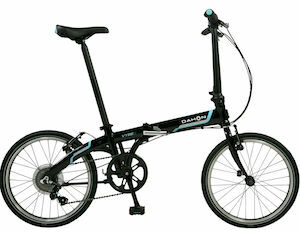 It is so difficult to find out any drawback of the Dahon bike. 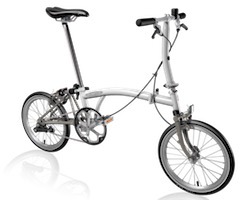 The bike is priced at around $560 on Amazon, a very acceptable price for a great folding bike. Don’t agree with our pick? 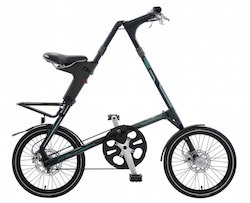 You can consult the list of the best-selling folding bikes in the U.S..
Share the post "The Best Folding Bikes – Reviews and Ultimate Buying Guide"